What are the Predicate Adjectives? A predicate adjective is an adjective that follows a linking verb and describes the subject of a sentence. 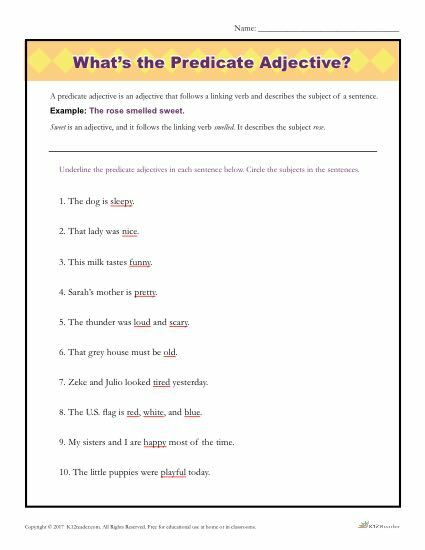 In this printable Parts of Speech Activity, students will be asked to identify the underlined predicate adjective and circle the subject that it describes. This worksheet is great for use both at home and in the classroom. Ideal for 3rd – 4th grade, but can be used where appropriate.